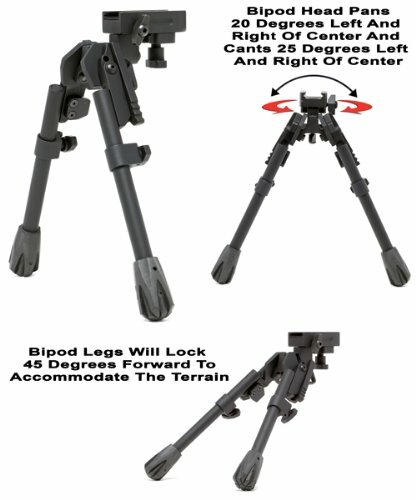 The Bipod legs can be folded and locked in a full forward position, deployed and locked in a 45 degree degree forward position, or deployed and locked in the standard straight down position. The rubber feet are replaceable. Extremely rugged construction.